BOTH the Prime Minister and Opposition Leader seem to agree on the longevity of coal, although it's doubtful whether they'd admit it. 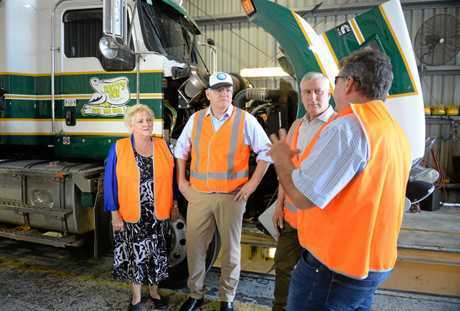 Speaking to The Morning Bulletin during his brief visit to Rockhampton, Prime Minister Scott Morrison said support for renewables and coal was not mutually exclusive. He said Australia had, and would continue to, meet its emissions targets. 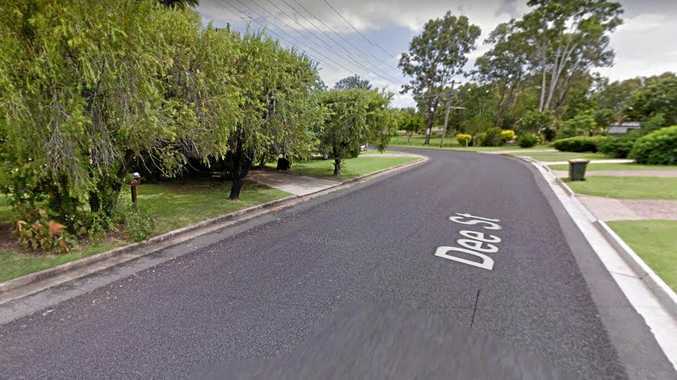 However, job security for coal mining regions like Central Queensland was also a national concern as were power prices. 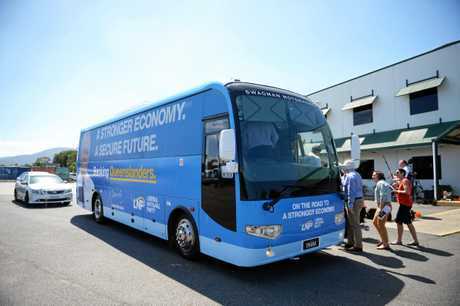 "What we're doing as a government is saying, 'you don't have to choose between these things'," Mr Morrison said. "You don't have to demonise some industries to glorify others, they're all contributing. "The renewables sector is contributing to the economy, and will be standing on its own two feet, won't need the subsidies any more. "That's a good thing. But equally, our traditional sources of power, our traditional activities continue to be the main stay of mining communities right across Queensland." 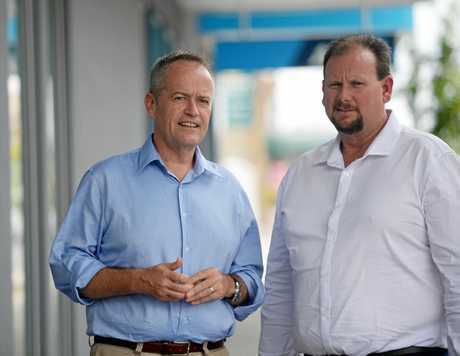 In October, Labor leader Bill Shorten made similar statements with an apparent softening of the party's stance on coal. At a Brisbane press conference, Mr Shorten spoke strongly against the "black and white" energy debate. "I want to see households have more solar rooftops," he said. "I want to see more batteries in households and more batteries in business. "I want to force energy prices down. "The only way we are going to do that is stopping this dumbed-down debate: are you for coal or against coal, do you have coal tattooed on you or do you have stop Adani tattooed on you? "People are sick of really basic debates. What they actually want to see is fair dinkum policy." 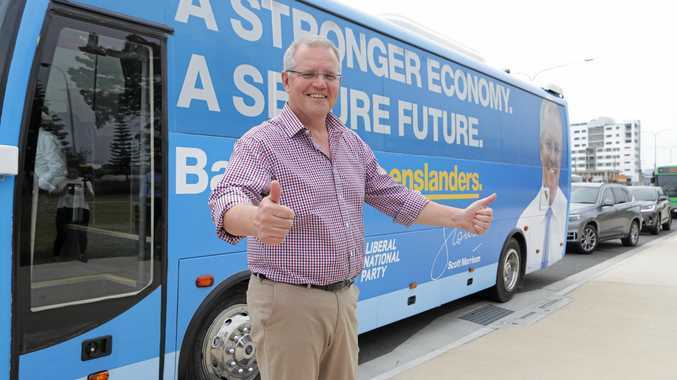 Back in Rockhampton, Mr Morrison reiterated the importance of coal in the national economy. According to the Queensland Resources Council, the resources industry injects $6.2 billion in gross regional product to the Fitzroy region in 2016-17. In Rockhampton alone, there was $991 million gross regional product in 2016-17. The resources sector contributed $55.1 billion to Queensland's economy in the same financial year, 68 per cent of which was produced by coal. 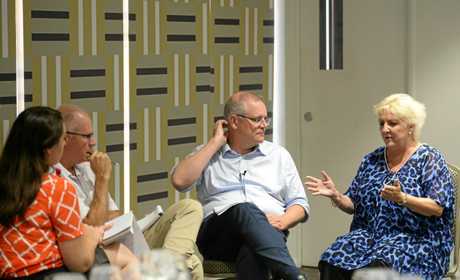 Mr Morrison said the Wentworth by-election result, where independent Kerryn Phelps won former Prime Minister Malcolm Turnbull's seat, had not changed his view on coal. "What you'll hear from me as Prime Minister is the same thing everywhere I go and I'm not afraid to say it because I know what you need to do to have a strong economy and if you don't have a strong economy, you can't pay for hospitals, you can't pay for affordable medicines, you can't pay for schools, you can't pay for ring roads," Mr Morrison said. "These commitments require a continued strength in our economy." Mr Morrison said a strong economy was "not a prize you put up on the mantlepiece and go 'isn't that wonderful we've got a strong economy?'". "It's the strong economy that pays for your kid's schools and their medicines and their Medicare and aged care and disability care and these are all really important services Australians rely on. "The way I can deliver those is by focusing on things that driver our economy forward."